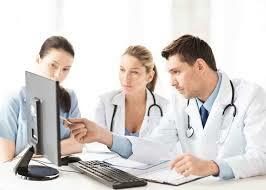 Want to get medical treatment in France? Need to organize medical evacuation to France for one of your patients / employees / insured? Want to conduct a health check, a plastic surgery procedure or need to be handled by an appropriate, high level medical service? Evadeô Pro offers and organizes medical stays for people from around the world who seek treatment in France under optimum conditions. Whether you are a government agency, a business, an insurance company or an individual, Evadeô Pro puts its experience and know-how at your disposal to facilitate and optimize the administrative and logistical organization of your medical trips to France. In close cooperation with the most prestigious French hospitals, Evadeô Pro delivers you in record time, a proposal for quality care courses, tailored to your medical condition, at competitive rates! And to make your stay easier and smoother, Evadeô Pro manages the relationship with physicians, handles your accompaniment to medical appointments, your accommodation and offers a full range of customized services for your comfort! So do not hesitate, check out Our Services, ask us to call you back or send us a Request for quotation !